Waffle red pad is made out of 90ppi quality foam. 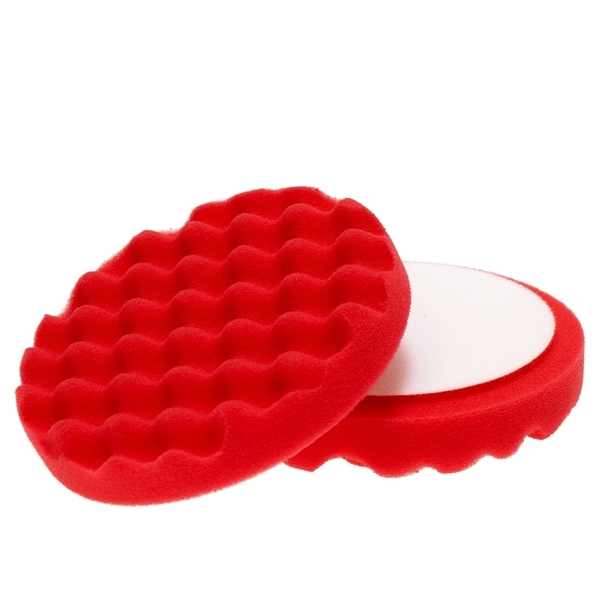 The waffle design helps keeping temperatures lower than usual. With fine cut abilities it will be used for a finishing polish step to achieve a final gloss or it can be a starter for testing before steping up in aggressiveness. Suits 120mm-130mm (5 inch) backing plates.